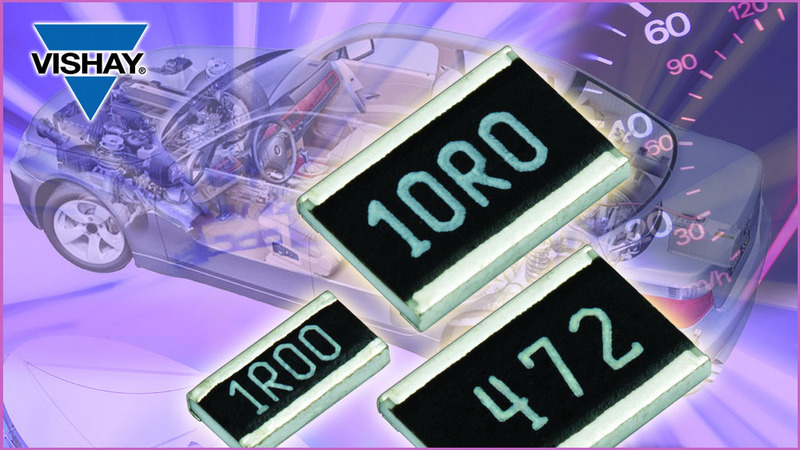 Vishay Intertechnology, Inc. on Jan. 30, 2017, released a new series of sulfur-resistant long side termination thick film chip resistors optimized for automotive and industrial applications. For high sulfur environments, resistors in the AEC-Q200-qualified Vishay Draloric RCA LS e3 series feature a patented construction that provides a sulfur withstand ability in accordance with ASTM B809 95, tested at an advanced level of 90 °C for 1,000 hours. The devices’ wide terminals enable high power ratings up to 2.0 W.
RCA-LS e3 series resistors are available in five compact case sizes to save space on densely packed PCBs: 0406, 0612, 1020, 1218, and 1225. The devices offer a resistance range from 1 Ω up to 2.2 MΩ with tolerances of ± 1 % and ± 5 %, TCR of ± 100 ppm/K and ± 200 ppm/K, and an operating voltage range from 50 V to 200 V. The resistors are RoHS-compliant and halogen-free. (1) Specified power rating requires dedicated mounting conditions to achieve the required thermal resistance. 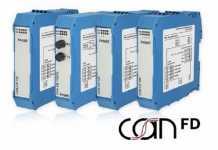 Samples and production quantities of the RCA-LS e3 series are available now, with lead times of eight to 10 weeks.